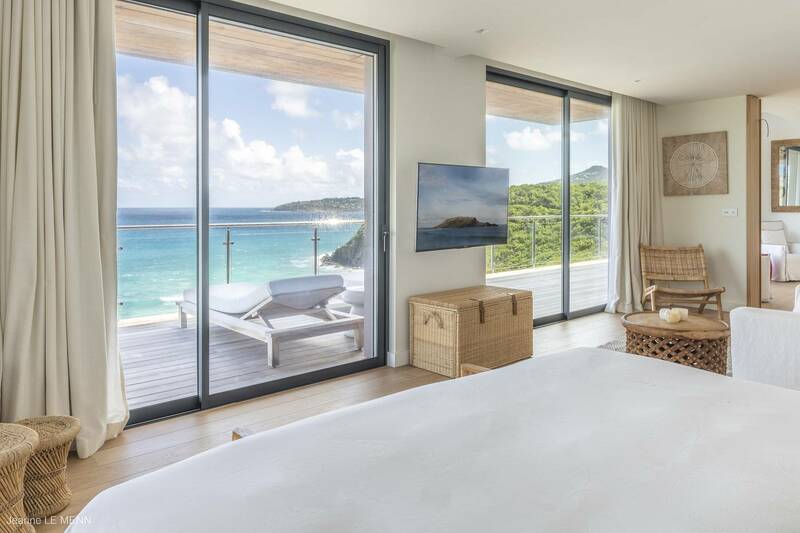 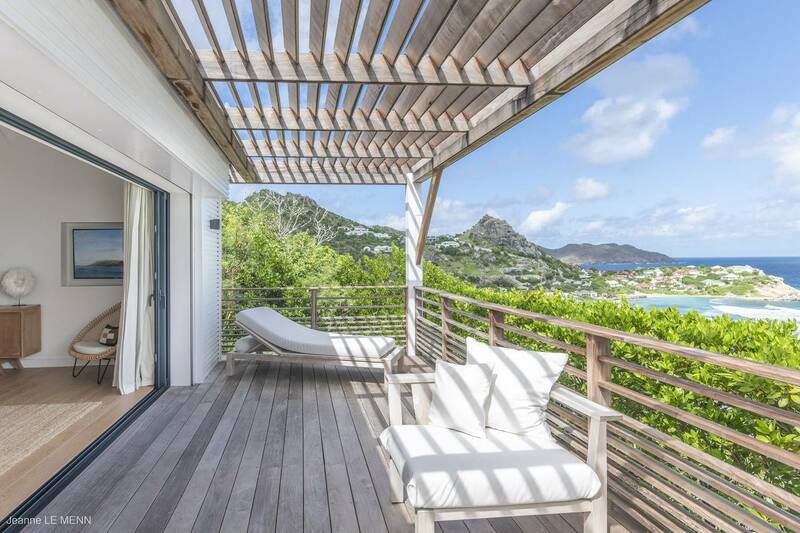 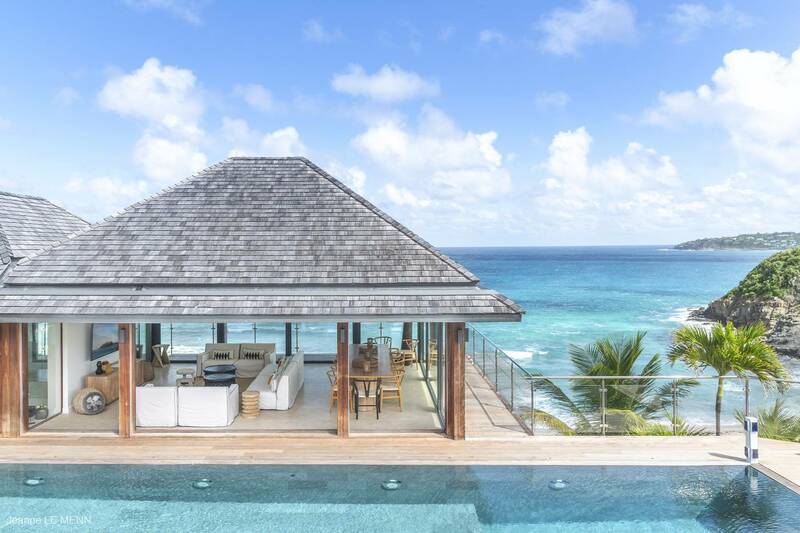 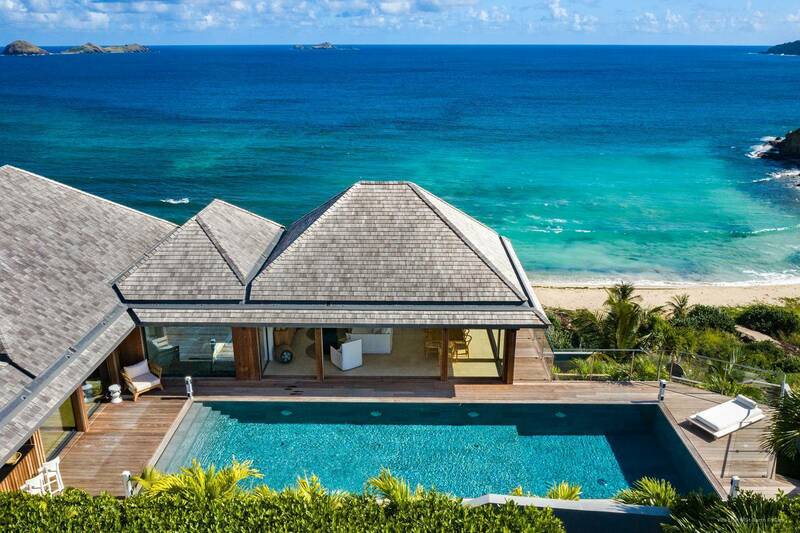 Dream About: Owning a glass-enclosed villa with a stunning view of the sea. 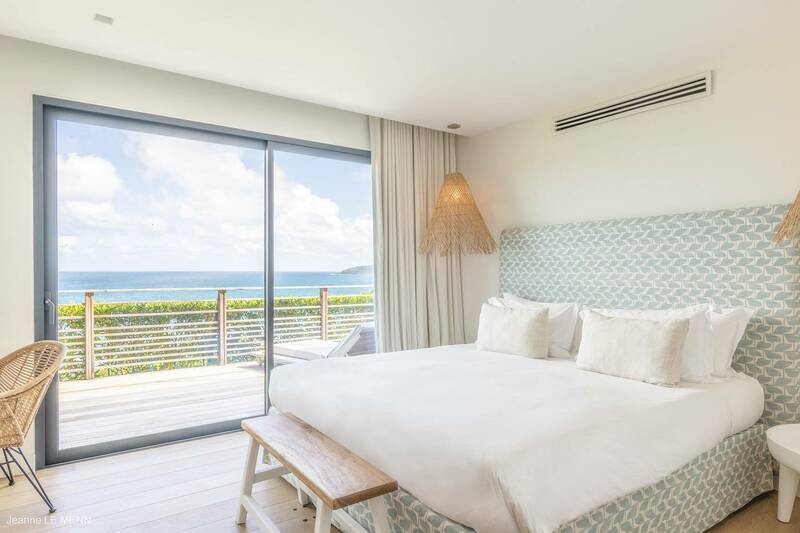 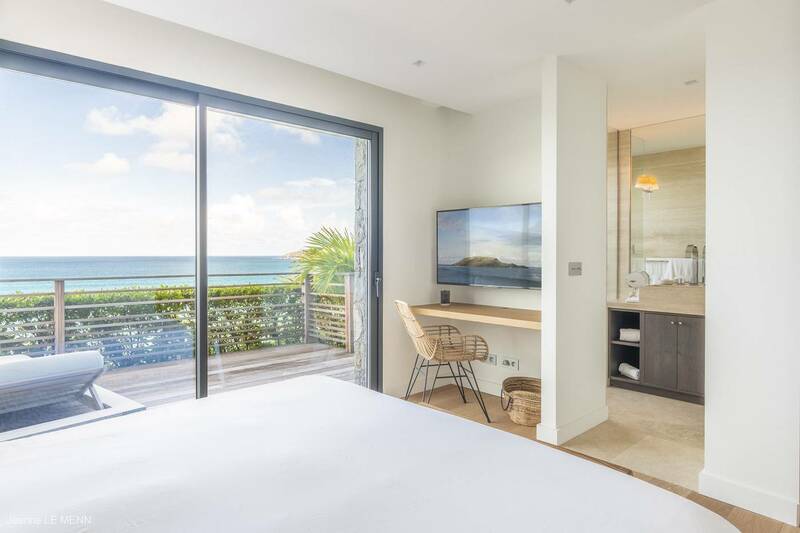 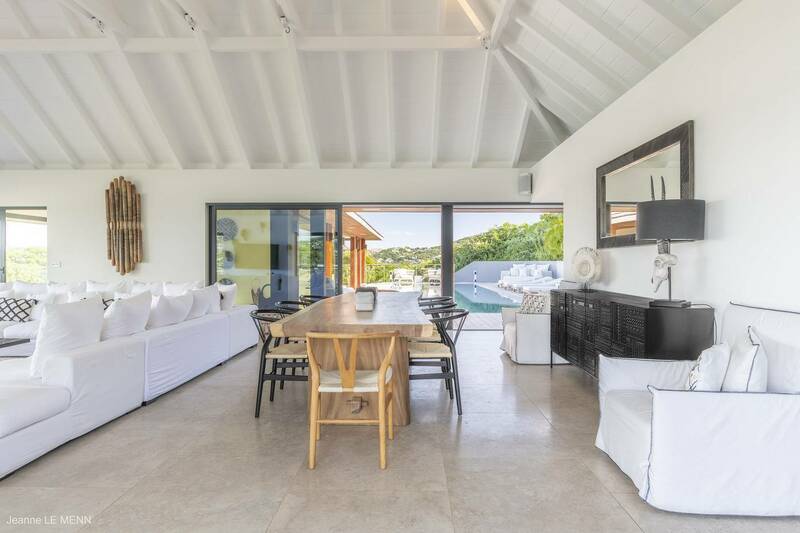 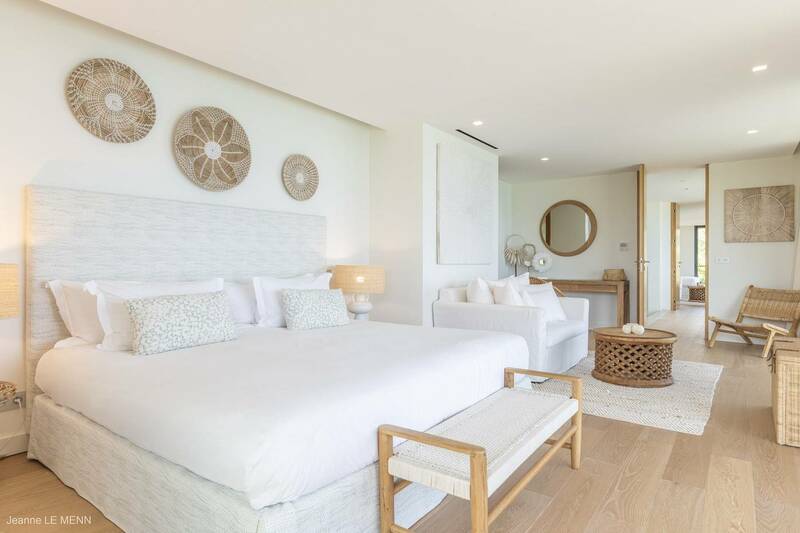 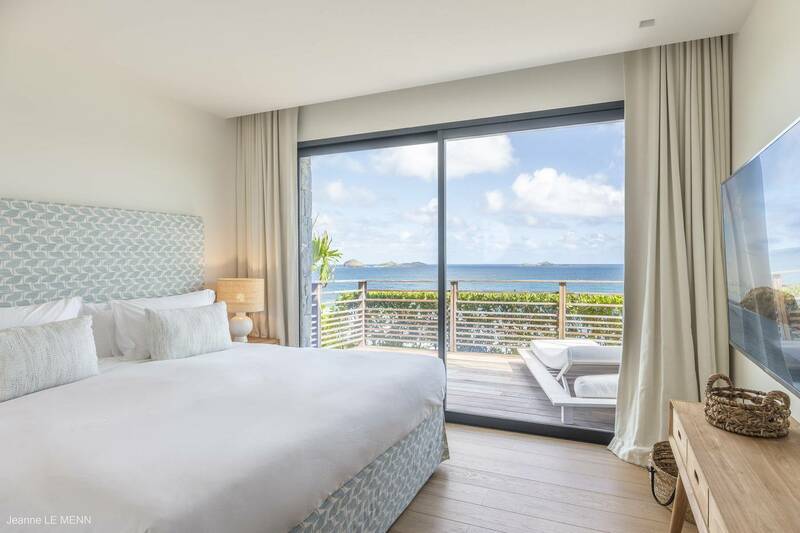 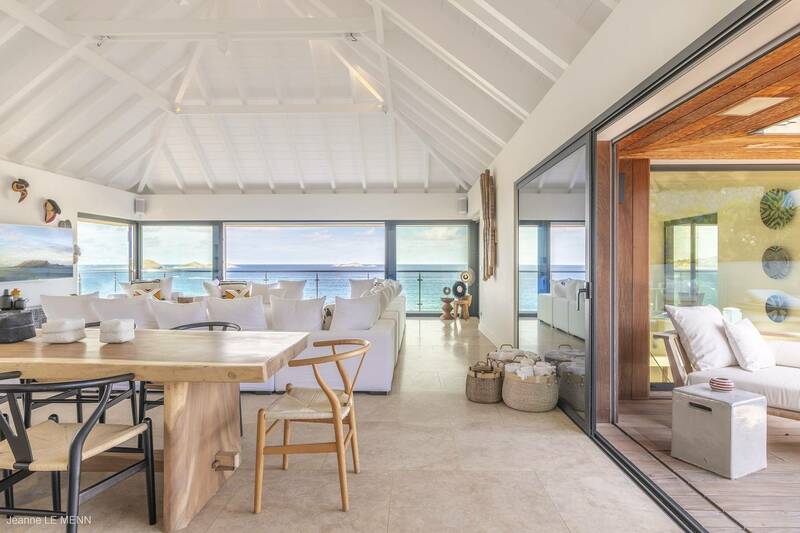 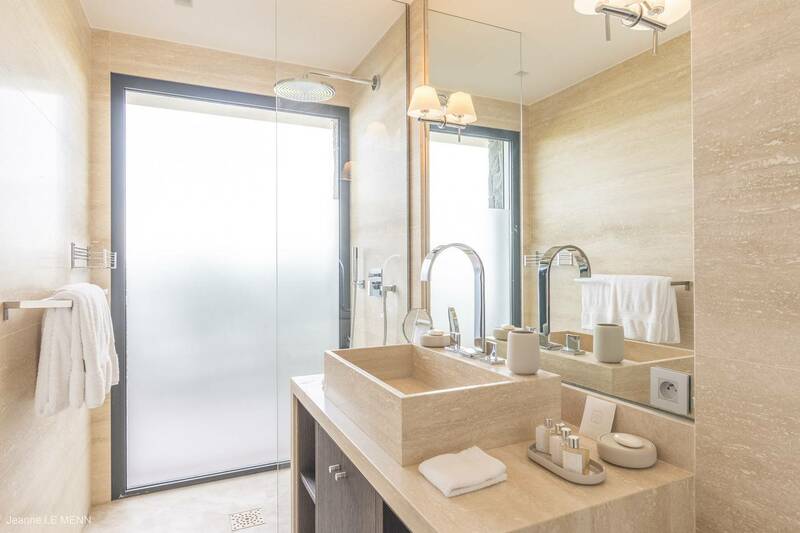 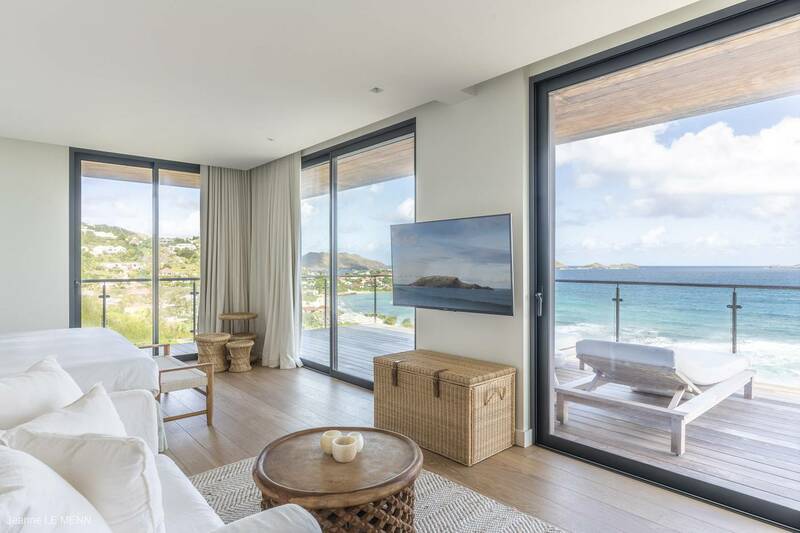 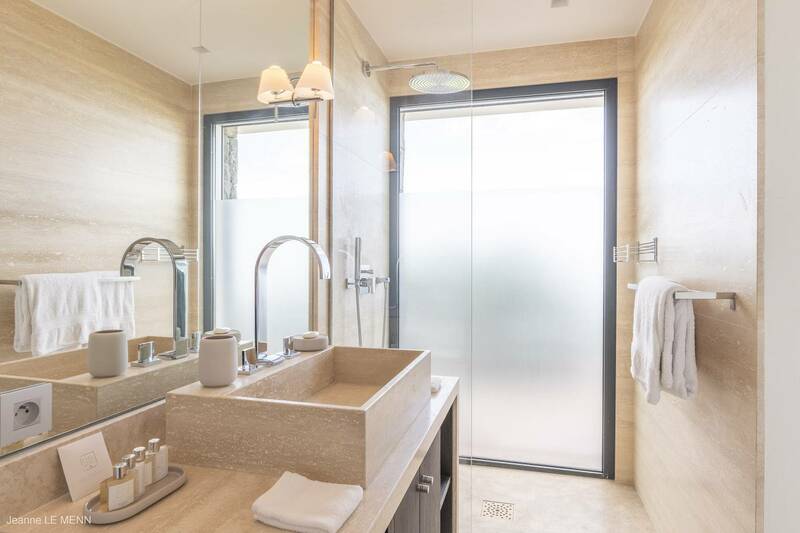 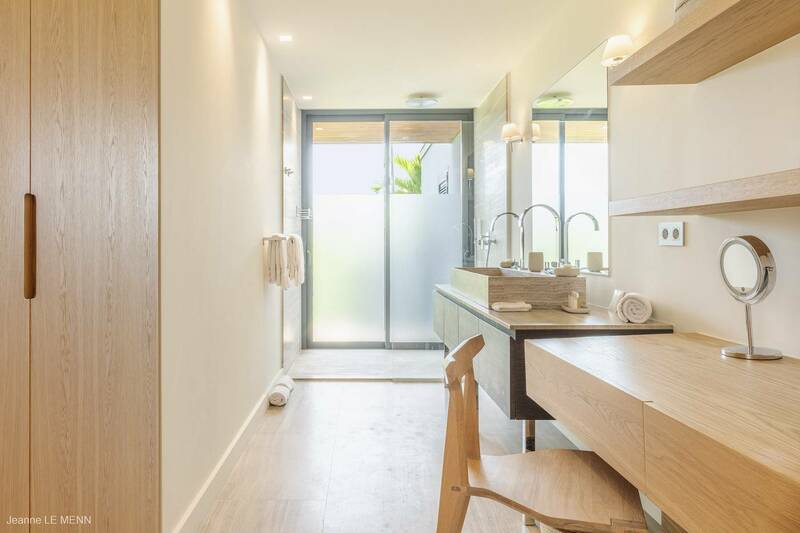 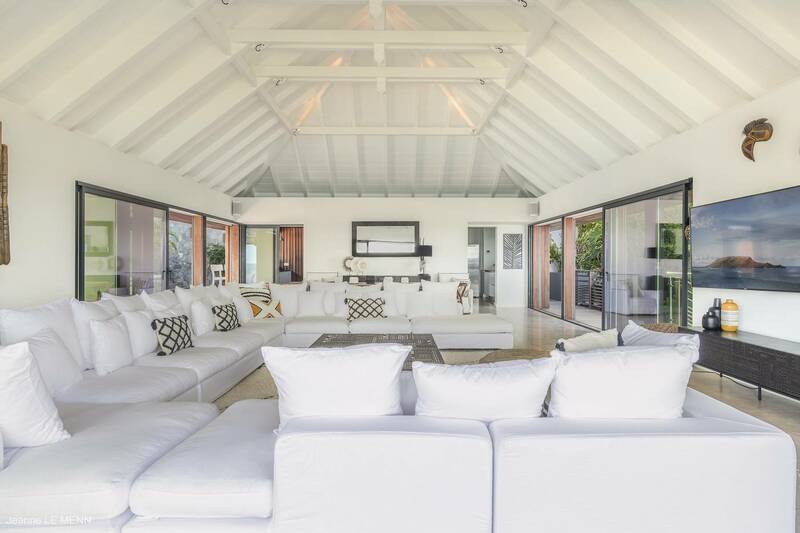 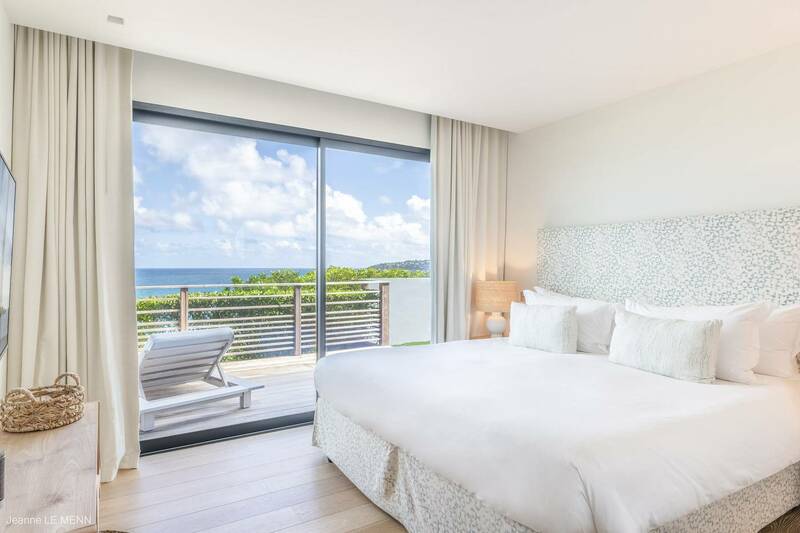 Configured over three levels, floor-to-ceiling glass windows separate the air-conditioned indoor living spaces from a series of terraces that overlook the beach at Anse des Cayes and the sea beyond. 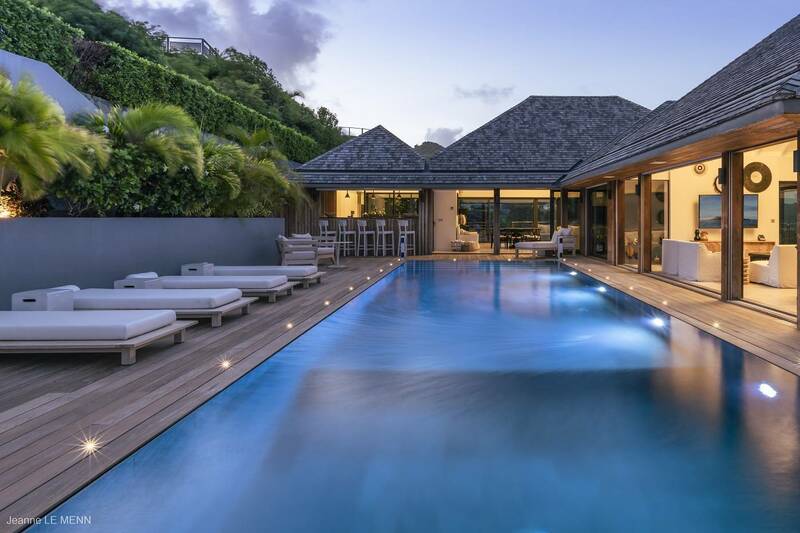 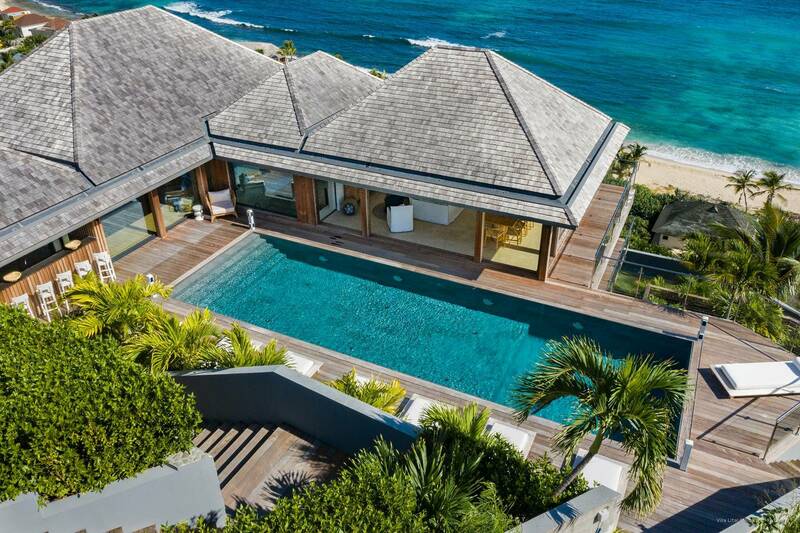 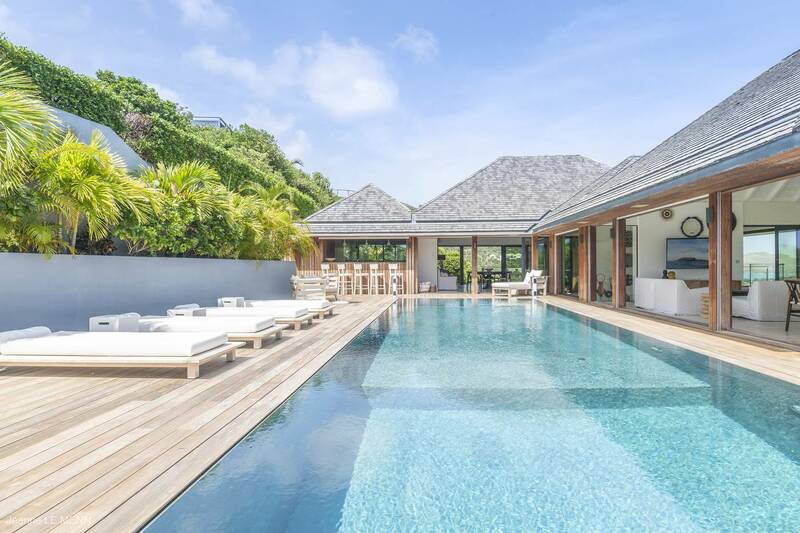 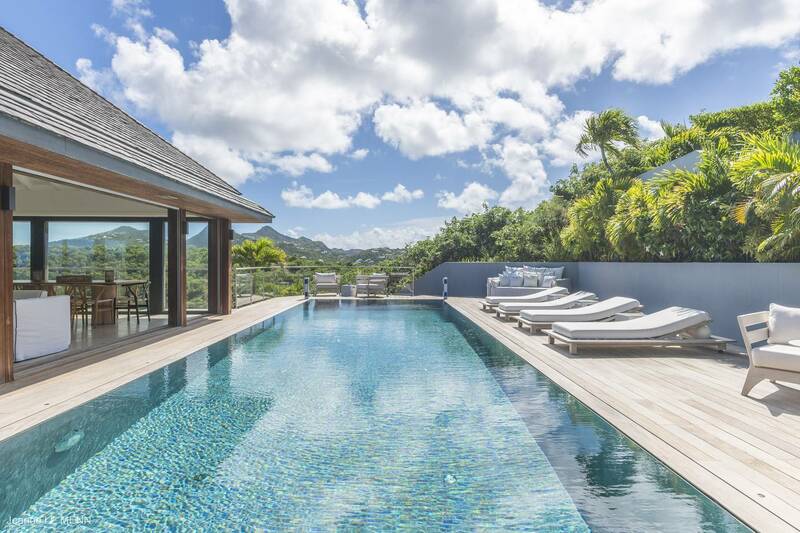 An extra-long heated swimming pool is one of the villa’s focal points, and a pool bar is ideal for entertaining. 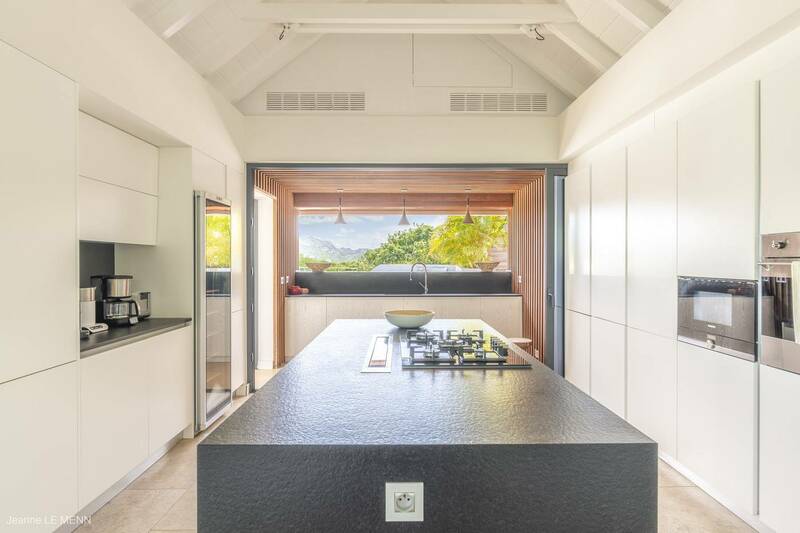 The two indoor living/dining areas are spacious, with one connecting directly to a sleek chef-worthy kitchen and a guest bath. 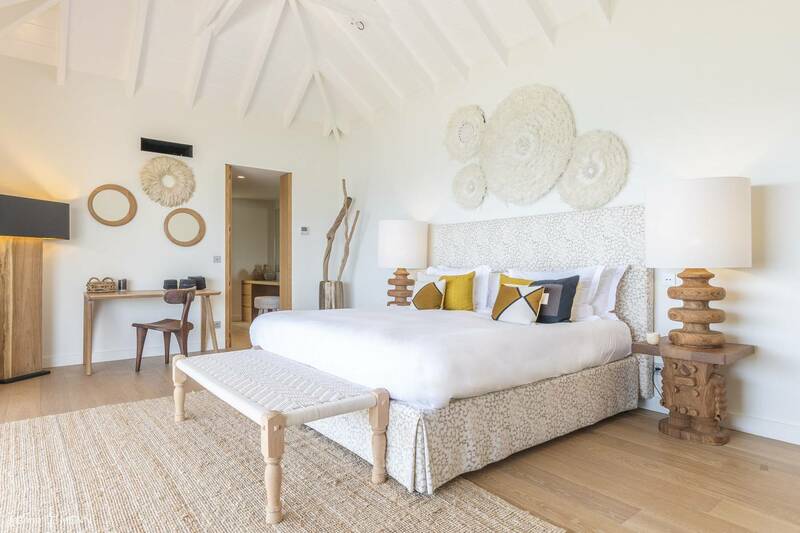 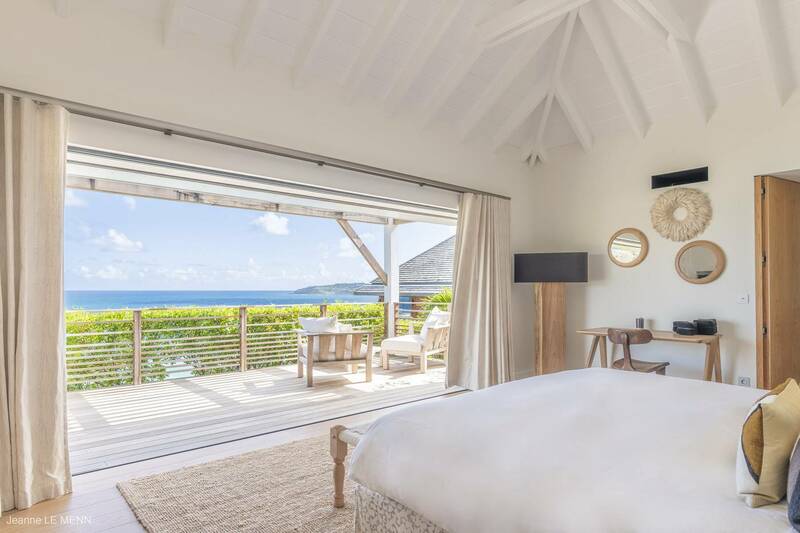 The seven bedrooms include a master suite located in a separate bungalow with an outside shower. 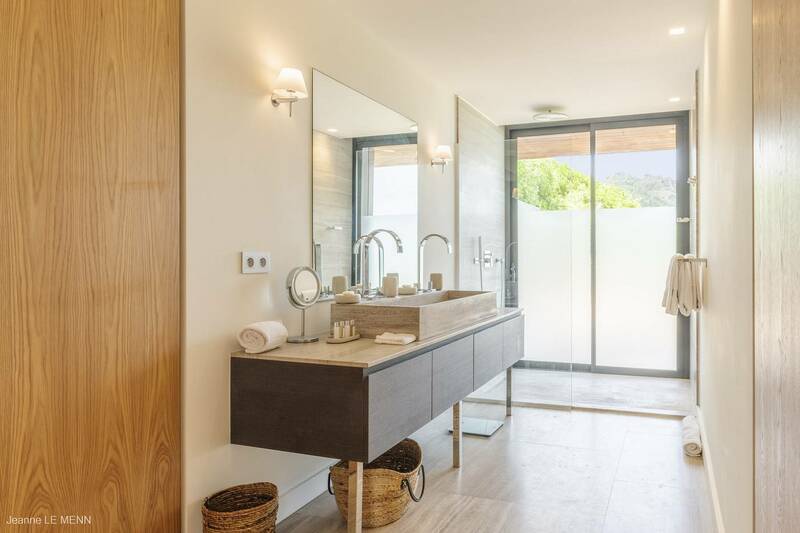 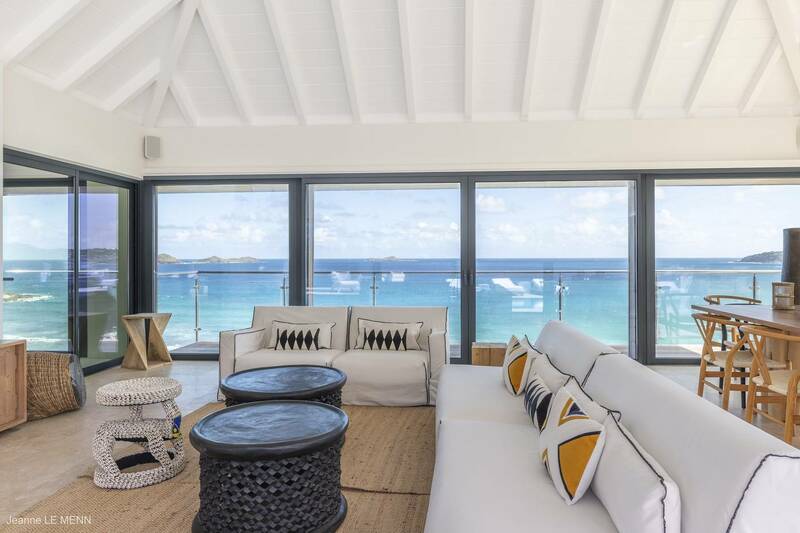 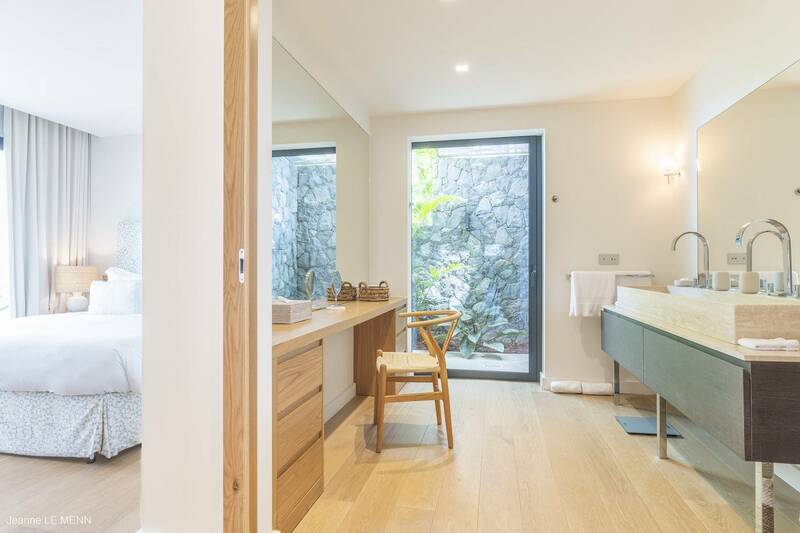 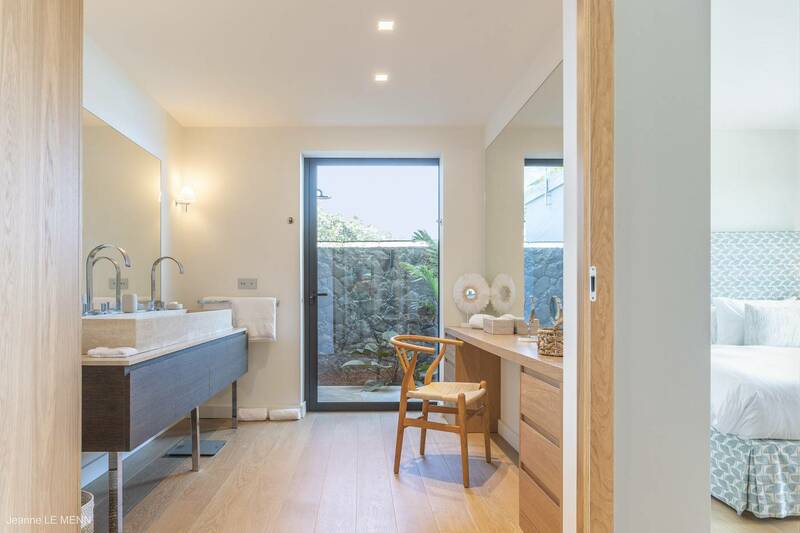 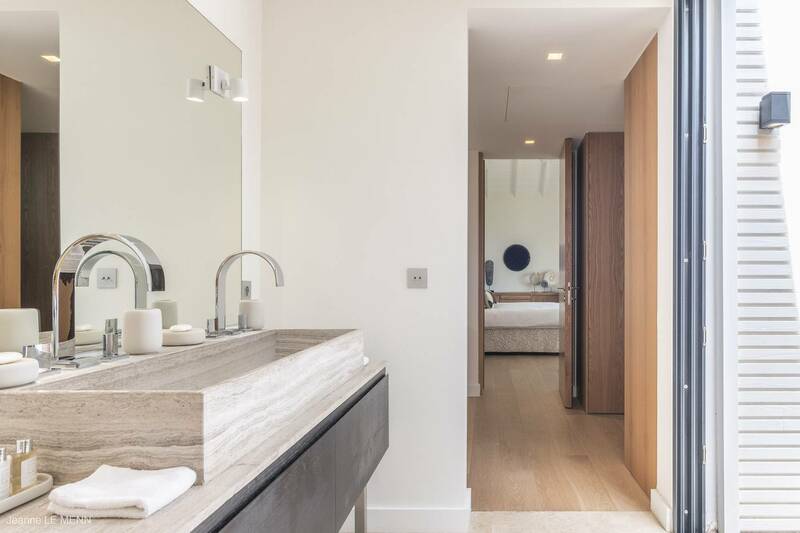 All have beautifully appointed en suite baths, terraces and a view of the sea. 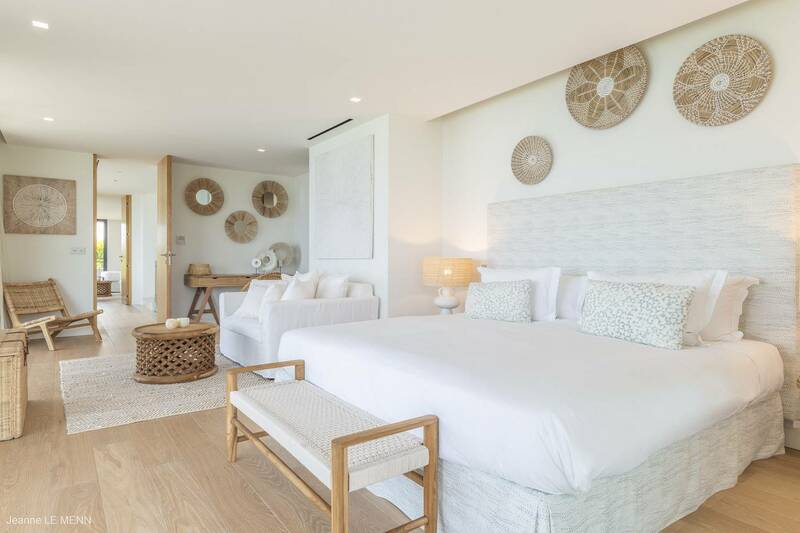 Two mid-level bedrooms are “master-sized”, and four additional guest bedrooms are located on the lower level. 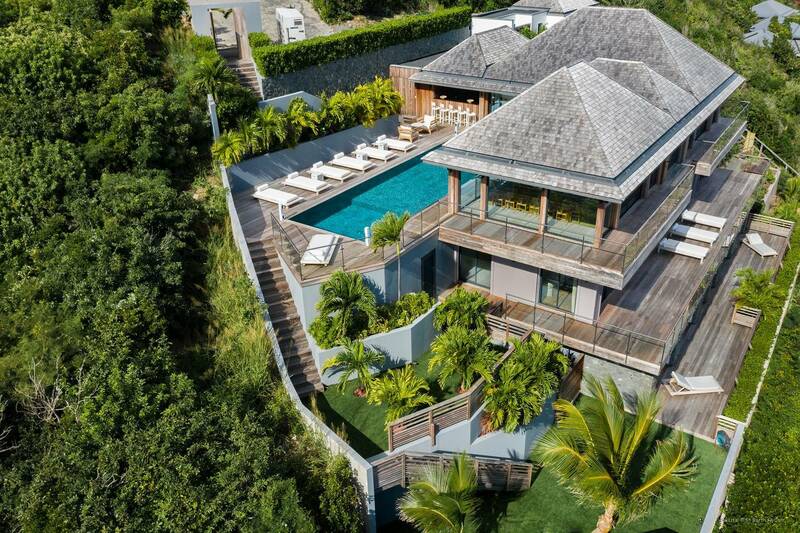 Multi-level; 7 en suite bedrooms, 2 living rooms, a dining room and a gourmet kitchen.